As a blogger, it is important that you make it easy for people and search engines to find your stuff. That is why your permalink structure in WordPress needs to be correct. If you don't know what I am talking about, then pay attention. When starting a blog you should change permalinks BEFORE you do anything else. This is because there can be bad ramifications if you change your permalinks in WordPress on an established blog. When you set up your permalinks correctly from the beginning, you will be setting your blog up for success. Your permalinks – which is the URL or web address for a particular post – should be in plain English and not contain a string of random characters and numbers. Most people will argue that it should not contain the date either. On a new blog, it is easy to change permalinks in WordPress. No matter what host you use (Bluehost is good if you are just starting out and Big Scoots – which is what I use – is great if you want great managed WordPress hosting) or what WordPress theme you use, this is the first thing that you should do. Search engines use your permalinks to help them understand what your post is about and also to index your website. If they are not structured correctly, it can hurt the amount of search traffic that you receive. Your permalink also influences whether real readers will want to click through to your site. And finally, if you change permalinks once is blog is established can be disastrous. So let me back up a minute and explain the concept of permalinks. When you write a post or page on your site – WordPress gives it a unique web address. This address is called a permalink, and it is basically the place where your article lives on the internet. A good permalink structure is so important for SEO. The words in your URL give the search engines a clue as to what your article is all about. If you have ever seen an article on the web that has a big, long URL that is filled with numbers and letters and lots of gibberish – then you know that the web designer or webmaster did not change permalinks when they set up the blog. Keep in mind this rule of thumb – if YOU can't figure out what the article is all about by looking at the URL, then neither can the search engines. Related Post: SEO For Beginners – What you need to know. Your real readers are also relying upon a descriptive permalink. If they come across your article on social media or anywhere else on the web, they are most likely to click through if they understand what the article is about. And if the URL looks spammy, then they will run the other direction. When your URL is descriptive it can also help people that want to revisit your article. Often I will remember something I read on a site and type those words either into a Google search or into a search box on the website. So, I've convinced you to change permalinks. Now, how the heck do you do it? Luckily, there is a setting in WordPress that will make it happen. But before we go there – this is very important. Do Not Change Permalinks on An Existing Site! A strong word of WARNING! – changing permalinks on an existing site can spell disaster for your search engine traffic and for your social media traffic. On an existing site, all of your articles have already been indexed by the search engines. If you change the URL of all of your articles then all of your listings in the search engines will go nowhere – straight to your 404 page that says that these pages do not exist. It will take awhile for the search engines to catch up with your new structure. And if you get a ton of traffic from search engines, this is likely to taper off or disappear. If your articles have been shared time and time again on social media – all of those links will be broken and may likely never recover. So, consult professional advice from your web designer or SEO expert. Changing permalinks may not be a good strategy for you! If you have a brand new website, you want to decide right now what you want your permalink to be. Personally, I like using the post name as the permalink structure. I also strongly DISLIKE including the date. If the date is in the URL and then the article can appear old and many people will not click through. However, if the content is evergreen or you keep the article updated – then you are deterring good traffic. So, the moment that you have been waiting for: this is how you do it. You can find the settings for permalinks by going to “Settings” in the left navigation bar in your WordPress dashboard and clicking on “Permalinks” from the dropdown. On a fresh WordPress Install, the permalink structure throws up some gobbledygook address with a date and numbers and I don't know what else. The screenshot below shows the settings page on a fresh install before I made any changes. You can see that by default, this install puts the date before the post name. I always change this default to just plain “Post Name” before I add any content at all to my blog or website. And then I hit Save. This will change the URL for every single post on your blog (both new ones and existing ones). When you start your new website, make sure to change your permalinks as your first step. This will help both the search engines and your real readers understand what your posts are about. You most likely do not want a random string of characters as your URL and, personally, I do not like having the date in the URL either. I prefer to set my WordPress permalinks to just plain “post name”. This can be done in the Settings section of your WordPress dashboard. If you have an established site – do not do this! This will change all of your URL's and will likely have a negative impact on your search engine traffic and traffic from social media. Now, you might notice that the permalink of this particular article is actually different from the post name. Why? Because I revised this article including the post name, recently. However, I did not want to change the permalink because the article has already been indexed and shared on social media. The permalink reflects the old post name. What Permalink Structure Do You Use? 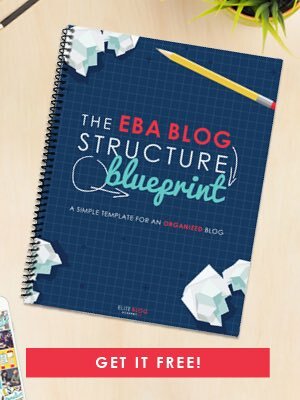 What structure do you use on your website? Do you wish you had set things up differently? Have you ever changed your structure on an established site? What effect did this have on your traffic? Find more WordPress tutorials here. That was very interesting. I do have the post name as my permalink, but I also have the date. But since I have an existing website, I’m thinking I shouldn’t change this, right? Something to think about if I revamp my website, which I am considering! Right! Please do NOT change your permalinks on your existing site – even when you redo it. This would result in broken links and have a negative effect on your traffic and search rankings. You could have someone create redirects from your old urls to your new ones but I’m not sure it is worth the effort. It is good that you have your post title (or keywords) in your permalinks!